HOUSTON. Tranquillity Base here. The eagle has landed. 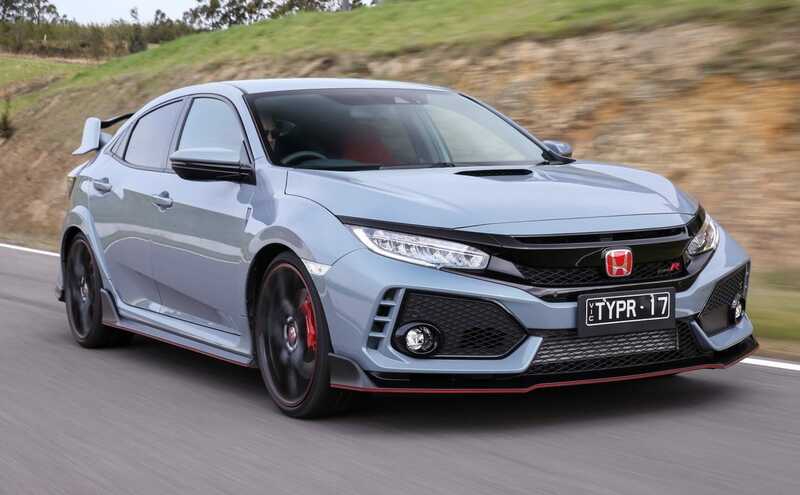 The eagle in this case, is not part of the real, or otherwise, moon landing, but instead is the official arrival in Australia of the eagerly anticipated Honda Civic Type R, which brings with it an unrivalled combination of every day usability and track-honed dynamism. Powered by a 2.0-litre VTEC Turbo engine producing 228kW of power and 400Nm of peak torque, and mated to a close-ratio six-speed manual transmission with rev-matching function, the Type R has been tuned to deliver flexible and exhilarating performance. Standard equipment for Australia includes a four-wheel adaptive damper system with three driving modes, Brembo brake package, 20-inch alloy wheels, the Honda Sensing suite of safety and driver-assist technologies, plus class-leading interior space. A genuine hot hatch with a 25 year pedigree, the Honda Civic Type R combines expertly-tuned front-wheel drive chassis dynamics with aggressive design and finely-honed aerodynamics, a lower centre of gravity, and a sophisticated new suspension system. It is both the quickest-accelerating and fastest car in its class, as well as the fastest front-wheel drive car ever around the Nürburgring Nordschleife with a record lap time of 7min 43.8sec. The 2017 Type R has a new selection of driving modes, adding a ‘Comfort’ setting to the default ‘Sport’ and track-focused ‘+R’ modes – all of which tailor the suspension compliance, steering geometry and throttle response of the car on demand. The aggressive silhouette makes a confident statement about the Civic Type R’s dynamic character. Wider, longer and lower than any of its predecessors, the new Type R has short overhangs and muscular, taut lines, while a sharp and aggressive ‘face’, while pronounced wheel arches and sculpted front and rear intakes point to its performance and sporting intent. A comprehensive aerodynamics package includes a smooth under body, front air curtain, a slim rear wing and vortex generators at the trailing edge of the roof line. These features contribute to a best-in-class balance between lift and drag, delivering superior levels of high speed stability. The fifth-generation Civic Type R is available in a single feature-packed specification, offering a compelling mix of performance and equipment, and is priced at $50,990 (plus on-roads). It comes in five colours, including Championship White, Brilliant Sporty Blue, Rally Red, Sonic Grey and Crystal Black.